Last week’s list was in no particular order. This week I follow the same non-arrangement. Great Garden Plants always seems to have something new coming on. 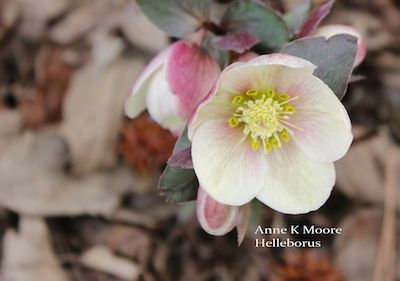 Right now they are showcasing a new ruffled Helleborus, ‘Sunshine Ruffles Winter Thriller’™. Forestfarm at Pacifica will take a while, maybe even several days, to peruse all of their offerings. They have 5,000 plant selections! Their paper catalog, which I kept from 2013, is over 200 pages, which brings up a thought. Some of these nurseries now only offer their plants by way of an internet listing. Many have done away with paper catalogs. 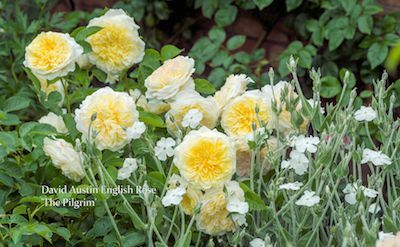 You can almost smell the roses in the David Austin Handbook of Roses for the U.S.A. David Austin Roses are bred for beauty of flower and bush, for fragrance, and for disease resistance. They are new English roses bred in the old tradition, according to their catalog. Their roses are beautiful. I have had a couple of red roses in my garden for many years. I don’t believe in spraying so they have to survive our heat and humidity and insect and disease attacks on their own. They are usually defoliated by the end of the summer, and I have often thought to pull them out. But they have such beautiful flowers every spring and then sporadically throughout the summer and fall that I haven’t been able to do it. Kitchen Garden Seeds also includes Van Engelen wholesale bulbs and John Scheepers bulbs. If you want a large quantity of bulbs, Van Engelen is the place to order. I receive and enjoy their newsletter sent to my inbox. Klehm's Song Sparrow Farm and Nursery, a grower/retailer, is known for its huge selection of peonies. There are 155 to choose from on their website. Their farm was established in 1852 and they have been hybridizing peonies since 1916. They offer a full line of perennials and woody shrubs with a nice selection of cut-leaf Japanese maples. Don’t forget to check out local seed companies and nurseries. For instance, Heavenly Seed was started here in South Carolina by a retired Clemson University Executive Vice President of the Foundation Seed Program. He and his wife offer heirloom, organically grown, open-pollinated varieties, and varieties developed by agricultural experiment stations and the United States Department of Agriculture/ARS. Woodlanders, another local, began as a South Carolina native plant nursery and have evolved into an internationally known nursery, a source for more than 1,000 kinds of rare and hard-to-find plants. Many of these introductions have been found on travels and plant hunting expeditions around the world. Jungseed sent me some daffodil and tulip bulbs to trial last fall. I admit, because of their name, I didn’t think of them for bulbs. The bulbs that arrived were very large and firm. Some of the daffodil bulbs were larger than I have ever planted. They will be blooming later in the spring since they went into the ground late. Jungseed also has a large selection of fruits along with summer bulbs, roses, and plants, as well as seeds. I have written about Brent and Becky’s Bulbs before. I always welcome their catalog, both the fall and summer flowering editions. 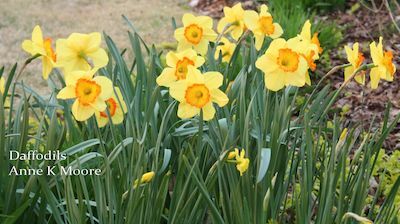 Many of their daffodils are blooming right now in my yard. One of my favorite plants came from them, too, Zantedeschia ‘Green Goddess,’ the large white calla lily with green overtones. It appears to be gone from their lineup but the large white of florist fame is still there. One thing to watch out for, and it can be high, is the cost of shipping your plants or seeds from the nursery to your home. When it comes down to it, if I can order the same plant from two or more nurseries, I opt for the one with the cheapest shipping charges. 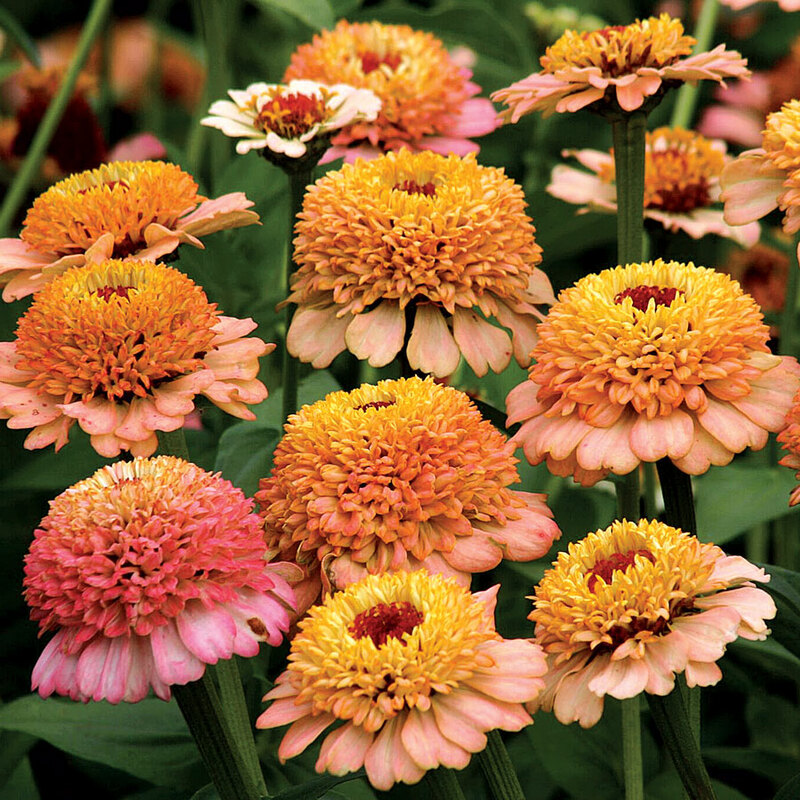 On the flip side, if a nursery has something that is too cheap or too good to be true, I don’t order from them. I am sure I have left out some very worthy nurseries/growers. There are so many plants to grow and so little time! If you have a favorite nursery not listed here, go to our Facebook page (https://www.facebook.com/GardenSMART) and mention it.